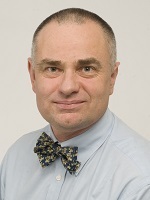 Richard Gearry is Professor of Medicine at the University of Otago, Christchurch and a Consultant Gastroenterologist at Christchurch Hospital. He has a strong clinical and research interest in luminal gastroenterology including inflammatory bowel disease, irritable bowel syndrome and nutrition. His IBD research has included epidemiology (how common IBD is and who gets it) as well as IBD genetics and clinical outcomes. Michael Schultz is a Consultant Gastroenterologist with the Southern District Health Board and Associate Professor of Medicine and Deputy Head of the Department of Medicine at the University of Otago in Dunedin, New Zealand. Michael graduated from the Friedrich-Alexander University in Erlangen-Nuremberg, Germany in 1994. 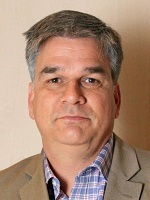 Following time in the UK, he spent 2 years as a Research Fellow at the Department of Gastroenterology, Division of Digestive Diseases, University of North Carolina at Chapel Hill, USA before achieving habilitation from the University of Regensburg, Germany in 2005 on the topic of ‘Mechanisms of Probiotic Bacteria’. He joined the University of Otago and the SDHB as consultant and Senior Lecturer in 2005. Michael has established the Gastroenterology Research Unit at Dunedin Hospital and was local PI on over 20 and the NZ lead on 2 international clinical trials. 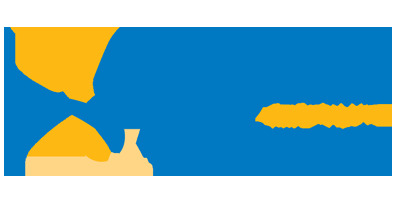 He is founding member and Director of the GutHealthNetwork, a multi-disciplinary Research Theme of the University of Otago. Since 2008 he is member of the Executive Committee of the NZ Society of Gastroenterology. Michael’s research interests include host microbe interactions and especially the role of the epithelium in health and disease but also clinical research into epidemiology and health delivery. He has published widely in several areas of gastroenterology, mainly Inflammatory Bowel Disease, including several book chapters and reviews. He is Medical Advisor to Crohn’s and Colitis NZ and the Hepatitis C Resource Centre Otago and sits on several pharmaceutical IBD drug advisory committees. 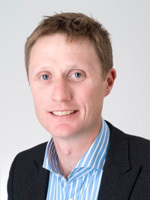 Tim Eglinton is a Consultant Colorectal Surgeon at Christchurch Hospital and Associate Professor of Surgery at the University of Otago, Christchurch. After obtaining Fellowship of the Royal Australasian College of Surgeons in General Surgery in 2005, he undertook post fellowship training in colon and rectal surgery in Cambridge, United Kingdom and Adelaide, Australia. He is a Fellow of the American College of Surgeons and the Colorectal Surgical Society of Australia and New Zealand. Tim is dedicated to improving the lives of those with IBD, and was awarded a Masters of Medical Science with Distinction for research into inflammatory bowel disease. He has published widely on IBD and other colorectal conditions, including diverticular disease and colorectal cancer. He has a special interest in minimally invasive surgery for IBD, performing the first laparoscopic (‘keyhole’) ileal pouch operation at Christchurch Hospital. He is the only surgeon in the South Island accredited to perform laparoscopic rectal surgery in the A La CaRT multicenter randomized trial. Tim resides in Christchurch with his wife Devonie and their three young children. Devonie is a Research Physician involved in the development of new medicines, including those used to treat IBD. 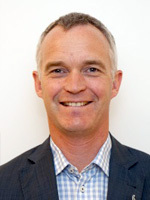 Professor Andrew Day is a Paediatric Gastroenterologist based in Christchurch. After training in Canada and working in Sydney for many years, Dr Day returned to NZ in 2009. Dr Day has extensive expertise and interest in Inflammatory Bowel Disease in children and adolescents. Furthermore, he continues an active and very productive research programme that focuses upon specific aspects of IBD. Together with collaborators in NZ and internationally, Dr Day’s research team is producing new information that further progresses our understanding of IBD and that is leading to enhanced outcomes for young patients with IBD. Original generation time 0.8703 seconds.